After 11 months of waiting, it's finally the most wonderful time of the year for some music fans: list season. That's right, it's time for music fans to scan official rankings from Pitchfork, Stereogum, and even the Erie Reader to see what made various lists and, of course, what didn't. There's good reason why people love lists; a quality collection of ranked bands can incur both bouts of joy and wrath, reaffirming personal tastes in some cases while giving readers reason to complain in others. Still, whether a collection of 50 or so musical acts leaves you shaking your head or clicking away, it's a sign that yet again, we've witnessed another year fly by, 365 days of new music to experience. From My Bloody Valentine releasing their first album in 22 years after some fans thought it would never come to Beyonce pulling a Radiohead and dropping an album without anyone knowing about it, 2013 was a year heavily influenced by the hordes on the Internet. Baauer's "Harlem Shake" managed to spend five weeks on the Billboard Hot 100 chart thanks to a YouTube meme that lasted much longer than it should have. The streaming video site helped usher along another hit, in which a pair of Norwegian brothers never really explained exactly what the fox does says, or why we should care. And as hard as these sports arena-destined musical fads tried, however, the year belonged to the queen of the Internet crowd: Miley Cyrus. The former child star just couldn't be stopped in 2013, blasting away expectations like, well, a wrecking ball, performing with terrifying teddy bears and a lip-syncing animated kitten that cried diamonds, which looked like something out of rich tween's fever dream. Then, of course, there was the great Robin Thicke twerking incident. It was a moment that, like many other huge pop cultural moments this year, dominated online headlines. Whether you loved, loathed, or were just flat out confused by the Cyrus show, you always heard about it if you ever dared to check Facebook, Twitter, or any other social platforms. Thousands had to chime in on the hot mess, feeding into exactly what the Cyrus camp craved: attention. Like Lady Gaga, Cyrus is another pop starlet willing to do seemingly outrageous things to get people to talk about her. Hell, even Australia's premier badass/lech Nick Cave name checked Hannah Montana in the killer Bad Seeds song "Higgs Boson Blues." Still, 2013 had some highlights amid the high-profile distractions. The ever-divisive Kanye West put out Yeezus, a fixture among the top of most publication's year-end lists, although the self-described "god" wasn't the only rapper to wow listeners, as Danny Brown, Run The Jewels, and Chance the Rapper highlighted an excellent class of underground hip-hop albums. There was an interesting discussion between bands and their fans about what was appropriate when it came to taking photos and videos during shows, whether the practice of having a glowing rectangle out for much of a show is too distracting or if paying customers should be allowed to document performances as much as they want. Also, you might have heard that Arcade Fire recently released an album. All in all, 2013 was another year full of exciting new bands (Haim), consistently solid favorites (Yo La Tengo), and some disappointments (Yuck). This current 12-month span may not have had as many highlight albums as 2012 had (Frank Ocean, Kendrick Lamar, and alt-J), but there were some excellent offerings nonetheless, such as the aforementioned Nick Cave and the Bad Seed's Push the Sky Away, which showed a sweeter and slower side to the veteran's at times animalistic oeuvre. Other highlights included the Frank Turner's personal new album Tape Deck Heart and Laura Marling's gorgeous Once I Was an Eagle, a modern album that would be quite at home in the '60s. Yet none of these would end up on my short list, no matter how good they are. That's part of why people love lists: they force you to pick and choose everything before presenting in easily digestible doses. That being said, here are my top albums of 2013. Enjoy. After years of singing songs of yearning and loneliness, Bill Callahan shows a more content side of himself on Dream River. Of course, it wouldn't be a Callahan record without his trademark solitude, as starts the album with the line "drinking while the sleeping strangers unknowingly keep me company in the hotel bar" on "The Sing." Still, Callahan shows his serene side on the peaceful "Small Plane," four beautiful minutes of Callahan contemplating how lucky he is to have a trusting partner while he's piloting his aircraft, intoning "sometimes you sleep while I take us home/ That's when I know we really have a home" in his trademark baritone. It's a simple moment, but one that sticks with you for a while. As usual, Callahan's words are the stars of this production, each line resonating with listeners as his deep, steady vocals add heft to every syllable the veteran enunciates, making for a wonderful trip down Dream River. Before 2013, Mikal Cronin was mostly known for his work with fellow garage-rocker Ty Segall, but on MCII, the 28-year old has stepped into the spotlight. From the opening piano notes of excellent opener "Weight," Cronin is in full control, deftly combining insanely catchy pop tunes with bouts of guitar-based aggression. Given his pedigree, it would have been understandable if Cronin went heavy on the fuzz for MCII's 10 tracks. Instead, we get 37 minutes of beautifully arranged power pop songs, from the rip-roaring "Change" to the tender "Don't Let Me Go." MCII's most impressive moment may be "Piano Mantra," a quiet, introspective number that has Cronin baring his soul before exploding into a wave of distorted guitar, drums, strings, and Cronin's vulnerable vocals all teaming up for a moment of musical catharsis. Cronin may sing, "I've been starting over for a long time" on "Weight," but on MCII, he's ended up with a real winner. Although it came out back in May, Trouble Will Find Me sounds like it was meant for snowy night. There's a sort of cold detachment in Matt Berninger's deadpan baritone, offering up depressing lines of dread, as if he's unwilling to go out and face the wintry conditions, as beautiful as the backdrop may seem. Still, there's a warmth amid the cold on Trouble Will Find Me, as evidenced in Berninger's impassioned pleas on "Sea of Love" or "I Need My Girl." And like your typical snowy night, the surroundings are gorgeous, as other 80 percent of The National provides a stunning score for Berninger's worries, with the Dessner brothers' layered guitars and the Devendorfs propulsive rhythm section sounding even better after each listen. Trouble Will Find Me may not be the most upbeat album, but who cares when melancholy sounds this good. While some people break down when the going gets tough, Neko Case is a fighter until the end. After naming her latest album The Worse Things Get, the Harder I Fight, the Harder I Fight, The More I Love You, Case's determination to stay strong shouldn't come as a surprise, but after battling a period of depression following the loss of some family and friends, the fiery Canadian took her pain and turned it into some of her most autobiographical work to date. On The Worse Things Get we experience Case at her most combative ("Man") and her most tender (the gorgeous "Calling Cards"). Given how wonderful a voice Case has, it's appropriate that the emotional epicenter of The Harder Things Get is "Nearly Midnight, Honolulu," a heartbreaking a capella tale of a mother berating her child, never knowing her vitriol would be documented in song. Case continues to fight the good fight, and on The Worse Things Get, she comes out a winner. The maturation of Vampire Weekend has been a wonderful thing to witness. Back when the band dropped its eponymous debut in 2006, the members sounded like cheeky Ivy Leaguers – very talented, cheeky Ivy Leaguers, mind you – with frontman Ezra Koenig playing the part of the young songwriter who knew he manipulate the English language at ease. 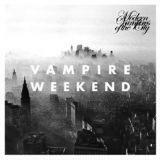 On Modern Vampires of the City, however, Vampire Weekend has aged gracefully. When Koenig name checks both Croesus and Modest Mouse on the same song, it doesn't feel as though he's trying to show off his cultural literacy; instead, it's fuel to help drive the song. Even more, the songs on Modern Vampires of the City sound effortless, the results of a band that's confidant in its ability to pump out intelligent, and lovely, tracks like "Step" and "Don't Lie." According to Koenig, Modern Vampires of the City is the end of a trilogy, a wonderful cap on their musical coming-of-age story.